We’ve all wanted to channel our inner lumberjack and chop down a tree. The ponderosa that’s been blocking your view of the mountains is begging to be taken out. Just grab your chainsaw and a buddy. You’ll be rid of that tree in no time. Well, we’re here to tell you that’s just the sort of thinking that can get you seriously injured or even killed. 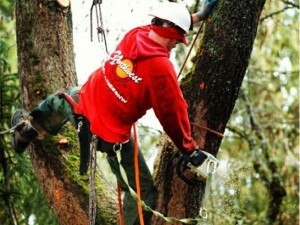 An average of 80 people die in the United States each year due to tree care accidents. Countless others are injured. This post will highlight some of the most common mistakes people make when trimming and chopping down trees. 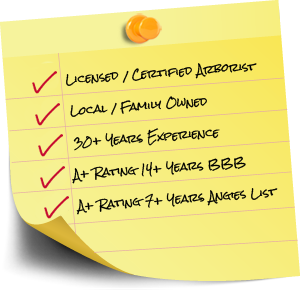 We hope after reading this you will see the overwhelming advantages to hiring a professional tree service like Northwest Arbor-Culture Inc. for all your tree care needs. Heavy storms and powerful winds can cause trees to fall or lean against nearby power lines. Many homeowners make the mistake of attempting to trim or drop trees away from the line hoping that they can prevent a tree or dead branch from falling on their home or car. Power lines are not something to mess with. According to Preservation Tree, an electrical arc from a power line contains 25,000 watts of power reaching 2000 degrees F.
You should never touch a power line or any tree touching a power line. Even getting close to downed lines can be dangerous. Power can travel from the downed line and through the ground, electrifying the area around it. One person died when he touched chipper 20 feet away from the source of the electricity. Always call a city electrical official or a professional arborist when you notice a downed power line or fallen tree. Never attempt to fix electrical problems on your own. 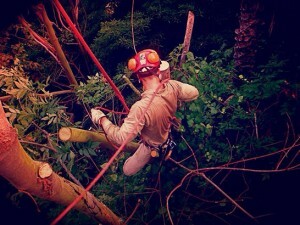 Many DIY tree trimmers run serious risks when they climb trees and ladders. Even falling from a small height can cause serious injury or death. People can be hurt when a supporting branch breaks and causes them to fall the ground. Also, human error often causes safety equipment to fail. One man, who had accidentally cut through his safety line while sawing a branch, fell 50 feet to his death after leaning back to take a rest. If you think a ladder will solve your height problems, reconsider. Ladders can be very unstable. It is easy to slip and fall from a ladder if you are stretching and straining while working at a high height. Using a chainsaw or power tools from a ladder is enough to make even a professional cringe. 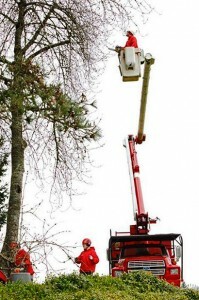 That’s why experts often use bucket lifts to allow them to access even the tallest of branches in a safe way. Avoid risky heights and dangerous drops. Let a professional Arborist with the proper tools help you trim your tall branches. Sure, it looks easy to fire up a chainsaw and hack away at a tree trunk. But, there is a lot more to it than meets the eye. Chainsaws are very powerful and dangerous tools. They can be very unpredictable and even the slightest contact with a moving chain can cause serious injury or death. Inexperienced operators most commonly are injured because of incorrectly cutting in to a piece of wood, allowing the tip of the bar to be pinched causing ‘kickback’. In blink of an eye the saw kicks back and rapidly lunges back towards the operator. Kickback is the leading cause of chainsaw injury. 36,000 people are injured in chainsaw accidents every year. Don’t be one of them. Contact a professional arborist and make sure you don’t become another safety statistic. Finally, one of the most obvious dangers of cutting down a tree is the risk of the tree falling on you or someone else. 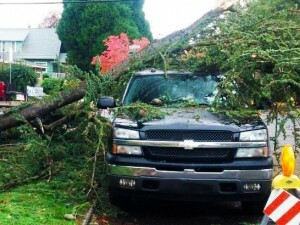 Trees contain a huge amount of water, foliage and wood weight that can crush homes and vehicles. A ¾ inch diameter branch falling from a tree can cause serious injury and death. tree to fall in unwanted directions. Also, a common phenomenon known as ‘barber chair’ happens when a tree splits and violently kicks back before it is completely cut. Trees are large and powerful objects. 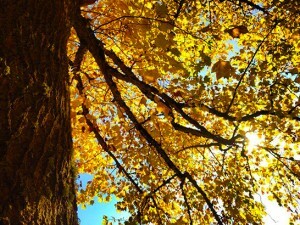 If not cared for properly trees can become a liability instead of an asset to your property. Our 30 years of professional knowledge and experience ensures that we get the job done right and within your budget. 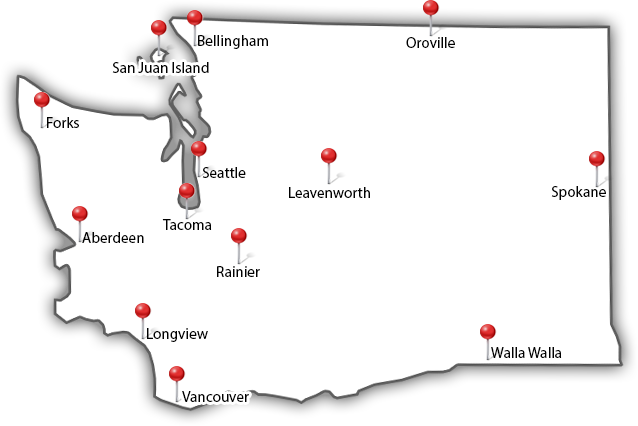 The staff Northwest Arbor-Culture Inc. continuously exceed industry standards of excellence and upholds our philosophy of preservation, safety, and aesthetic enhancement. Many things can go wrong when trimming and cutting down trees. It takes a true expert to safely remove a tree. Make sure that you asses the risks involved with tree trimming and removal before you consider beginning any tree care project. 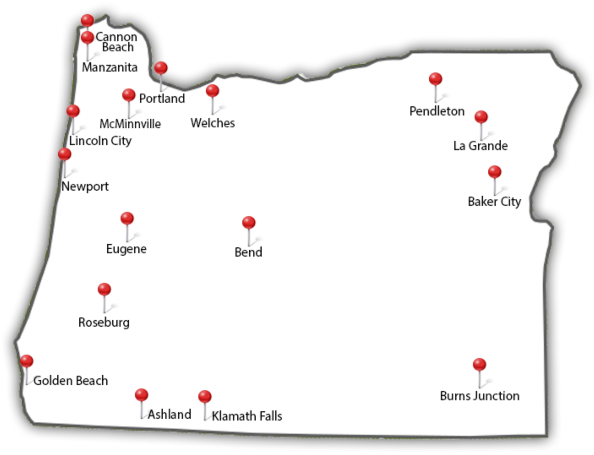 Hopefully you will see that it is always better to call in a professional service like Northwest Arbor-Culture Inc. to safely provide any tree care services that you need. Have you ever attempted to trim trees on your own? Let us know what tree trimming challenges you’ve had in the ‘comments section’.